The North American Aion development team is excited to announce today’s availability of the latest free content update for Aion – titled “Invasion”. The update brings the Aion community a continuation of the epic Aion saga that leads players to explore a wealth of new areas, fight new monsters, and acquire bountiful treasure. In the aftermath of the Dragon Lord Tiamat’s defeat, a new evil has taken the reins of power. Beritra has found a way to harness Ide through new dimensional technology, allowing his forces to bypass the protective Aetheric Field and launch attacks into the heart of Atreia. 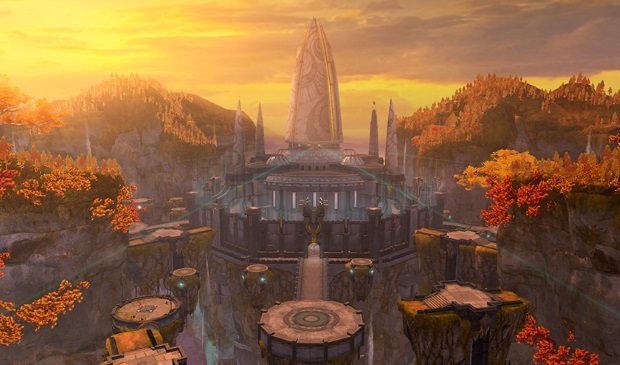 As a result, the Elyos and Asmodian forces must push into the newly discovered war fronts of Kaldor and Levinshor to find the source of this invasion. It is up to the players to gain the upper hand in these zones if they are to claim Panesterra and snuff out Beritra’s foothold in Atreia once and for all. o Kaldor, the ashen remains of an ancient Danuar land, features Wealhtheow’s Keep with new and exciting fortress siege elements. o Levinshor, the territory of Tiamat’s origin, is a colorful place where new species associate themselves with each faction and Daevas engage in combat for base ownership and battles between Veille and Mastarius! Both zones feature open-world PvP. 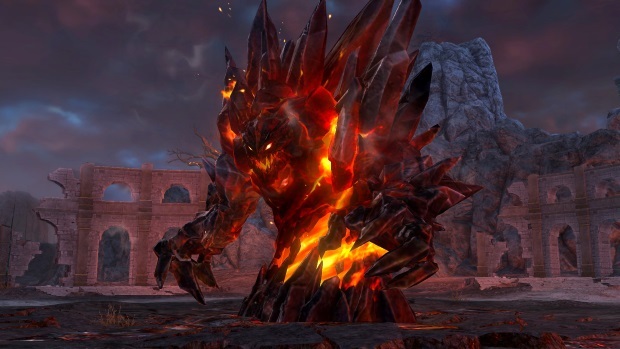 o The Linkgate Foundry is a solo instance for level 65 players, and will challenge even the most seasoned of veterans. o Igdel Dome is a PvPvE instance. Enter the instance with a team of 6 to defeat Beritra’s forces—but beware, players of the opposing faction are trying to do the same thing! The Atreian Passport! Daily Login Rewards come to Aion. Log in every day to receive a free gift. For every seven days players log in, they will receive a special gift. Players who hit the maximum number of logins per month will be rewarded with a special prize! Beritra’s Invasion Bosses. With ancient designs and parts from the Sauro Supply Base, Beritra was able to create his own Ide-powered “weapons” to prepare for his invasion. These “weapons” are world bosses and will require great efforts from Daevas to defeat them. Equipment Purification. Advances in technology have allowed for certain weapons and armor to be purified, which will provide additional bonuses to item stats without affecting already-socketed manastones and godstones. Server versus Server PVP. The ultimate siege experience comes to Aion with the launch of Panesterra. Once part of Balaurea, Panesterra was thrown into another dimension by a massive explosion of Ide. Recent advances in dimensional teleportation have allowed Beritra to take over Panesterra as a base for his assault onto Atreia. All Daevas are called into battle to drive out Beritra’s forces and prevent opposing factions from gaining the advantage. Panesterra is the ultimate siege – 100 players from each server and faction will be pitted against each other. Nobody is your ally except your server’s faction. Panesterra launches in open beta on November 5. The first Siege will begin November 9. Webzen has begun Arctic Combat's closed beta testing.